Done right, direct marketing can be highly effective and very worthwhile as part of your marketing strategy. It gives you a personal way of reaching out to individual targets. But it’s not something to rush into. Unlike over marketing channels such as public relations, with direct marketing you’re going straight to your potential customer and trying to persuade them of your product or service. This makes it very focused compared with other platforms like social media, but it also means there’s a lot more that goes into pulling off a successful direct marketing campaign. 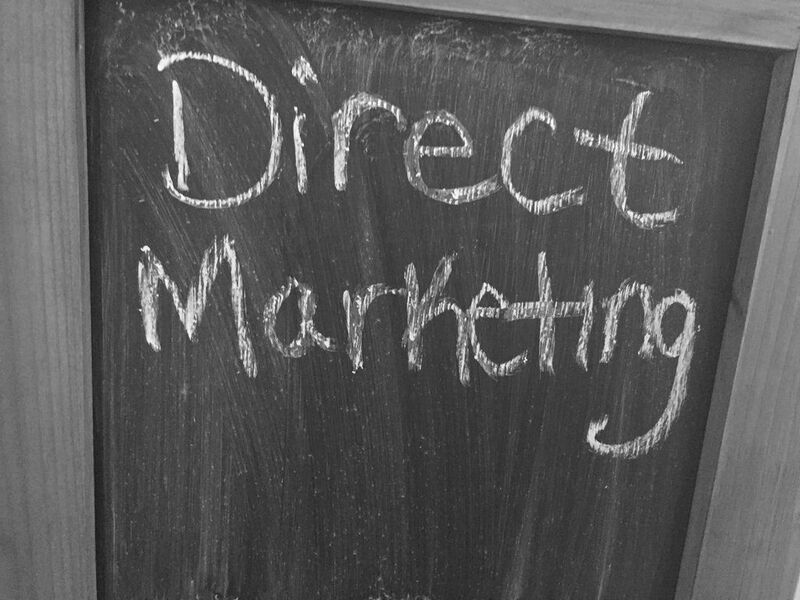 Like all marketing strategies, there are advantages and disadvantages to using direct marketing. Targeted: If you get your list right, you’ll be targeting the exact people who are most likely to be interested in using your services. Other channels like social media don’t allow you to get straight to the decision maker of the company, so aren’t as effective in this way. Grabbing their attention: Effective direct marketing campaigns often involve merchandise; it’s harder to put lumpy mail straight into the bin, and – if you get it right – you’ll send something that grabs their attention and keeps your brand uppermost in their mind. Measurable: It’s can be easier to evaluate and measure where you’ve been successful compared to other channels, such as advertorials. Engaging: If you know what you’re doing, you can really get to the heart of why your product or service is worth it and convey that directly to your chosen individuals. Time: Direct marketing can be much more time consuming than other channels, such as e-newsletter campaigns. You have to research your target audience, creating a mailing list of specific contacts. Not a stand-alone campaign: For a direct marketing campaign to deliver real results, it’s likely to be just the first step in a multi-layered campaign, potentially with follow-up calls and emails. This makes the time and resource considerations even greater. Cost: While other channels, such as social media, can have few costs, direct marketing campaigns can involve a lot more planning, staff time and money, and potentially merchandising. Getting those results: It can be frustrating leaving phone messages and sending follow-up emails that never get returned. This may cause you to give up if you feel you’re not getting anywhere. However, as we’ve found, it only takes one successful call to make the difference.